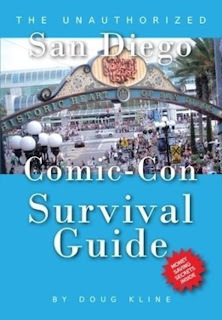 I got my copy of The Unauthorized San Diego Comic-Con Survival Guide by Doug Kline in the mail yesterday. I was impressed from the get-go since I didn't order it until Thursday afternoon. So definitely a good start. But let me get a couple caveats out of the way. I have never been to California, much less attended Comic-Con International. I have no intentions of going any time soon. Which means that I can't verify anything Kline presents in the book; I have to take him at his word on anything specific to this particular convention. I bought the book primarily as part of my ongoing research into fandom. For as small of a book as it is physically, Kline covers a lot of material. Everything from buying tickets and finding accommodations to when to line up outside the infamous Hall H. It's logically organized, and follows along the path of how most people would experience the convention from start to finish. It can be read straight through the whole book, or you can pick and choose topics to jump to via the Table of Contents. The writing is casual, and Kline seems to take a real-world approach to the show; he explains how some of the "rules" might get overlooked or side-stepped. He does make it clear where his preferences lie with regard to things like parking and dining, but recognizes and expands on other options as well. Some of the material is (or at least should be considered) common sense. Some of it is applicable to most, if not all, conventions. Much of it is specific to CCI. Kline not only points out specific locations for drug stores, restaurants and the post office but he provides "on the ground" directions for most of them too. ("... exit the convention center on the back side of the building. Face the bay and turn right...") Obviously, having been written in advance of this year's convention, he doesn't get into the specifics of which panels occur when or what guests to look for, but that also means it will remain a valid guidebook for the next several years. There are couple of things I might recommend to Kline, if he does a follow-up or a second printing. Nothing that seriously detracts from this book, but would make, I think, a next edition better. There were a couple of minor typos I found. Nothing huge, but just enough to pull me out of things a bit. (And I can't fault him too much there, as my own book has its own share of typos as well.) There were also no maps or graphics of any kind. Not that the book was so text heavy that it needed to be broken up with some imagery, but I think at least a few maps pointing out particular locations he references would have been useful. Maybe a couple of explanatory photos ("If you're standing at this point in the line for Hall H, you won't get in.") Kline does seem to do a fair job in his verbal explanations along those lines, but some people are just more visual and would get some of his points more definitively if he provided something a little more graphic. 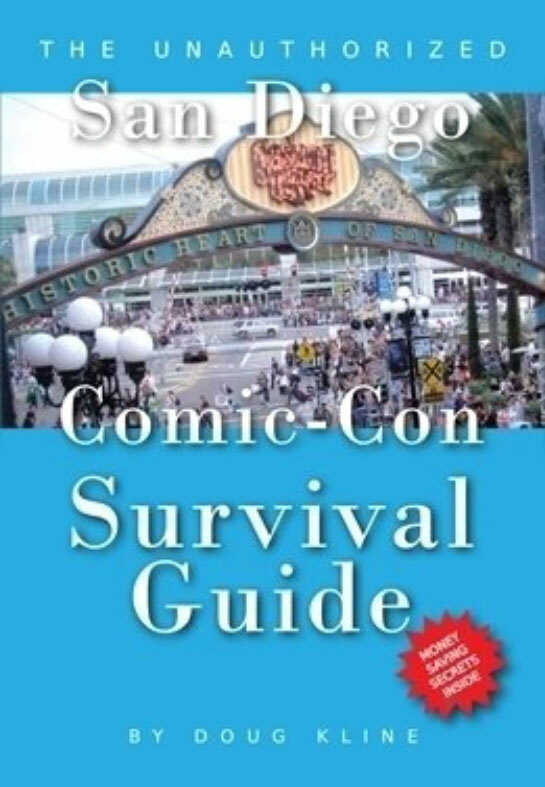 Never having been to Comic-Con International before, I definitely picked up some ideas that I'm pretty sure would not have occurred to me until/unless I was actually in the thick of things. And if I do ever get the opportunity to go, I will definitely be pulling this book back out as a reference both before and during the show. If this is your first year to the show, I highlight suggest ordering your copy now so you still have a little time to get it before you leave. It's available for $7 plus shipping here.